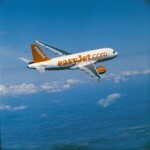 easyJet, one of Europe’s leading low cost airlines, has unveiled its new check-in area in Gatwick’s North Terminal. The fully automated bag drop facility which contains 48 self service kiosks and entails passengers self tagging their bags, has been designed to improve check-in waiting time. 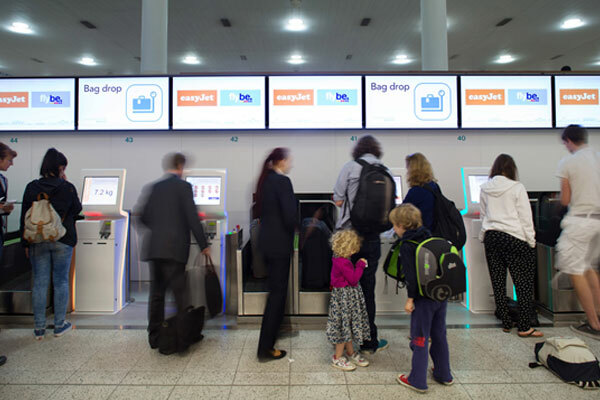 easyJet claims it has reduced queue times by half and more than 90% of passengers are waiting less than 5 minutes at the bag drop. Passengers are greeted by easyJet Welcome Hosts who guide them into the auto bag drop area. Passports are verified against boarding passes before passengers place their bags onto a weigh scale. A luggage tag is generated by the kiosks and attached to the bag by the passenger before being verified by laser scanners and dispatched to the aircraft. This development is a key part of easyJet’s plans to consolidate its entire Gatwick operation to the North Terminal.by January 2017. Sophie Dekkers, easyJet’s UK Director, said: “As our largest base Gatwick is of huge importance to easyJet both strategically and for the millions of our passengers who travel through the airport every year. 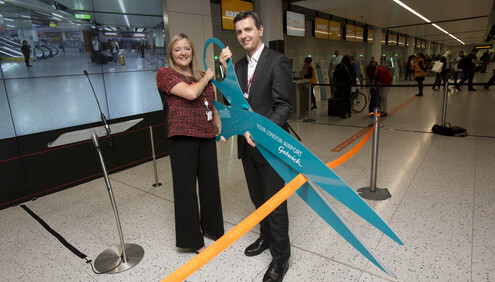 “We recognise that our customer’s airport experience is a crucial part of their overall journey and so we are delighted to have opened this new area for our customers flying from London Gatwick. “Our vision is for Gatwick to be both our biggest and best airport and this opening enables us to further deliver on our ambition to make travel easy and affordable for all of our customers. 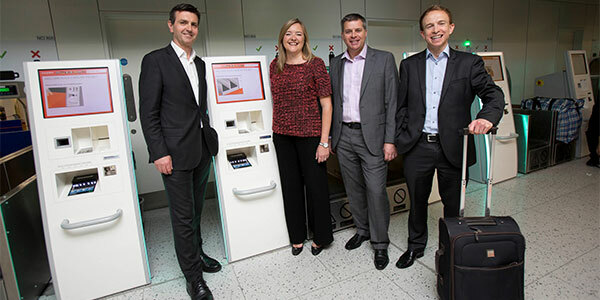 Chris Hope, easyJet’s Head of Gatwick, said: “These new self-service kiosks provide a glimpse into the future of airport design and enable our customers flying from London Gatwick to have unique use of the most innovative state of the art facilities. Guy Stephenson, Chief Commercial Officer for Gatwick Airport said: “We are half way through a £2.5 billion programme of investment and the transformation of our North Terminal is a key part of this. 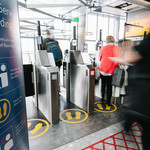 Creating new spaces which allow new technology to speed passengers through the processing part of their journey will help us eliminate queues, handle greater numbers of passengers and put people in charge of how they spent their time at the airport”.